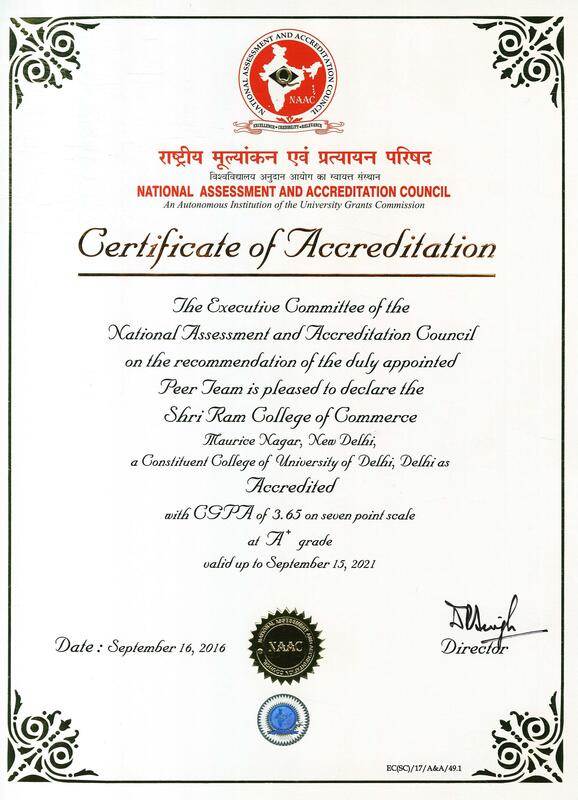 A four member peer team from National Assessment and Accreditation Council (NAAC) visited Shri Ram College of Commerce from 4th to 6th August, 2016. The Peer Team during its visit assessed and evaluated curricular, teaching and learning activities, research work, extension, infrastructure and learning facilities, and other aspects of the college. The team also interacted with the students, alumni, parents, and members of the governing body. The peer team handed over its report to the Principal in its exit meeting on 6th August, 2016.